Anne Askew (1520-1546) is probably the most well-known convicted heretic in history. 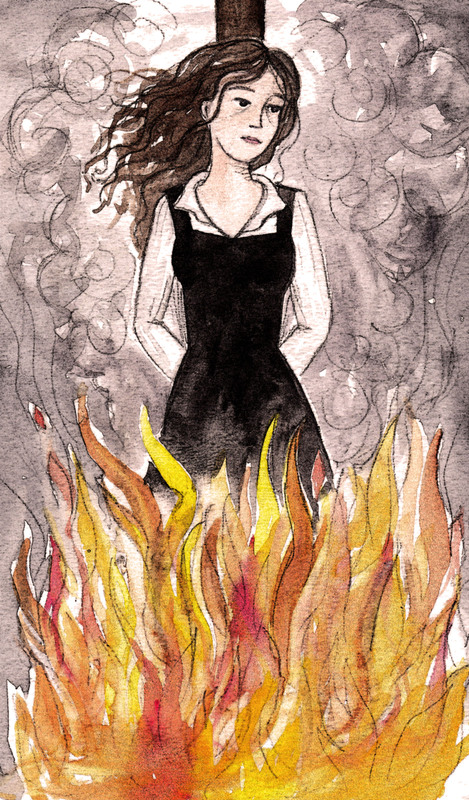 She was the only woman on record to be both tortured in the Tower and burned at the stake. Also famous for demanding a divorce, Anne was forced into marriage at the age of 15 as a substitute for her sister who died. She sought the divorce on the grounds that her husband did not believe in her strong Protestant faith. The marriage was troublesome to say the least, but they did have a son. She was arrested and accused of Heresy and because of the extreme torture she underwent, she was carried to her execution. From what I’ve read of the torture methods, I imagine that death would have been welcomed. Hi! I’m doing a paper and presentation on Richard Rich and love your picture of Anne Askew. Could I use it in my presentation (with appropriate credit, of course)?